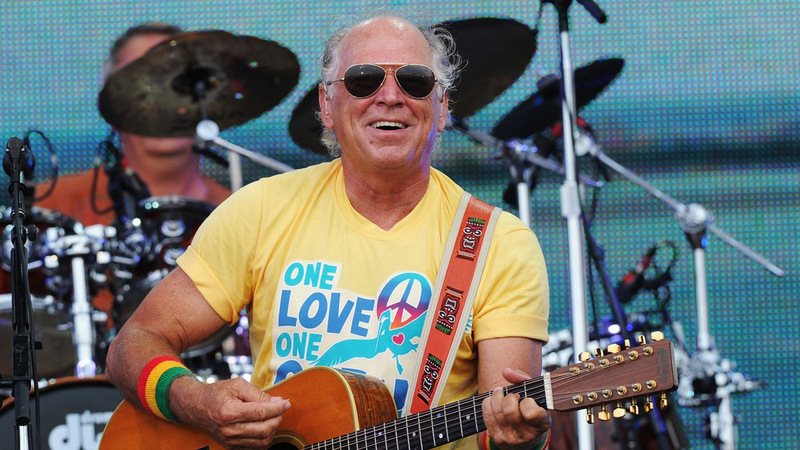 Jimmy Buffett has reportedly splashed out $8,25 million on a plush pad in Beverly Hills. 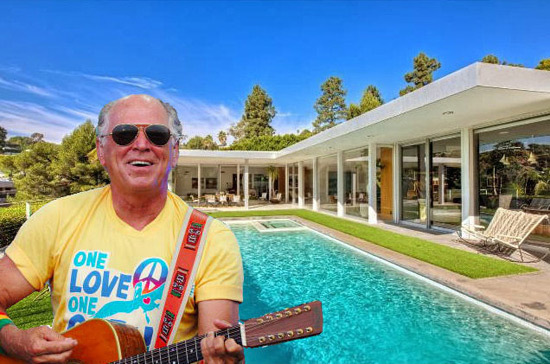 The Real Estalker Blog, broke the news that the two-time Grammy winner quietly purchased the residence in April this year through a blind trust which is connected to Buffett. The same sou7rce tells that the seller was Hollywood theatrical marketing guru Matt Brubaker (of Trailer Park) who acquired the property from a non-celebrity couple in late December 2012 for $5.8 million. Located in the prestigious Trousdale Estates area, the single-story home offers a 4,322-square-feet of living space with four bedrooms and five bathrooms. Originally built in 1963, the home sits behinds a stainless steel gate that slides open to a teeny-weeny motor court and side-facing two-car attached garage with stainless steel doors. Another stainless steel gate opens from the motor court to a walled entry courtyard where a long and shallow water channel must be crossed in order to get to the all-glass front door. Interiors of the home boast of an open floor plan, tiled flooring and high ceilings along with floor-to-ceiling glass windows and slider doors. Other features noted in listing details include an oversized laundry room, an over-the-tree-tops view that extends – on a clear day – all the way to the Pacific Ocean, and a state-of-the-art home automation system that can be remotely controlled from anywhere in the world. Outside, the house has a salt-water lap pool with an attached spa.